A well known building in Downtown Rochester is getting a new name. 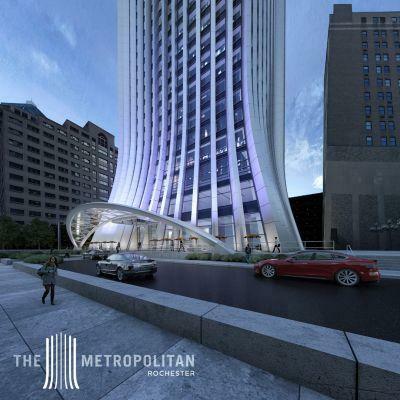 According to Gallina Development, which recently purchased the Chase Tower, that building will be renamed The Metropolitan. The company bought the building in March, and plans to develop it for mixed-use including condos, luxury apartments, office space and retail. Gallina says The Metropolitan currently has 3 anchor tenants, JP Morgan chase, law firm Forsythe, Howe, O'Dwyer, Kalb & Murphy, P.C. and advertising agency DAC Group. And Gallina says they are in discussion with other companies about relocating to that building. Construciton has begun on a new entrance to the building along Clinton Avenue as well as a new lobby. The first rental apartments will be available for occupancy in the spring.